What is The B Team? The B Team is a group of business leaders calling for an end to business as usual. They share the belief that Plan A (where companies are driven by profit alone) is no longer acceptable. Their collective mission is to catalyse a movement of business leaders driving better ways of doing business, for the wellbeing of people and our planet. In 2013, following a series of workshops and meetings hosted by Virgin Unite, a group of business leaders came together with a shared belief that business could no longer be motivated by profit alone. From these extensive discussions The B Team was formed and incubated by Virgin Unite with the support of many wonderful partners. 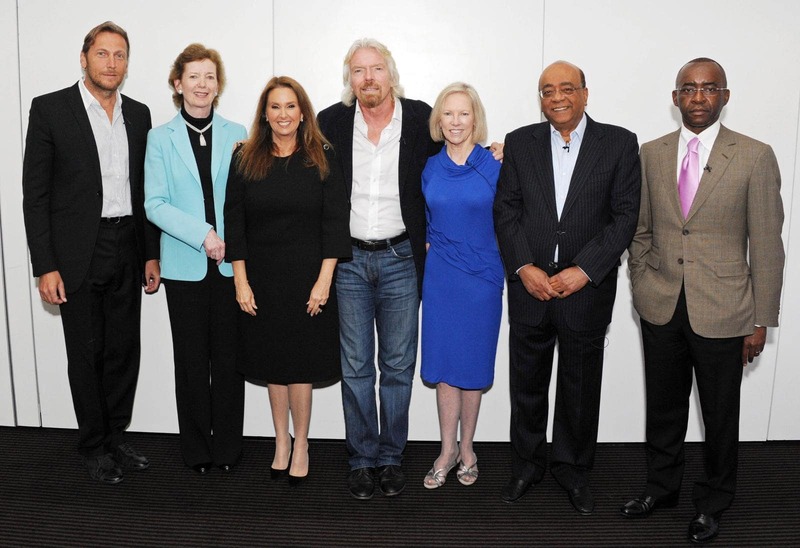 Richard Branson and Jochen Zeitz serve as the co-chairs alongside a global group of leaders working together to accelerate Plan B.
Virgin Unite also supports The B Team’s 100% Human at Work initiative. What has The B Team achieved so far? The collaboration of 19 business leaders working towards a better way of doing business for the wellbeing of people and planet. Launched a set of systemic challenges that provide an initial framework for a Plan B for Business. Called for a ‘net zero greenhouse gas emissions economy’ by 2050. Launched the People Innovation network, with more than 70 leaders/companies across five continents. Called on governments to collect the identities of the people who own, control and benefit from companies and joined the B20 Anti-Corruption Task Force. Joined forces with the Natural Capital Coalition, WBCSD, IUCN and others to develop the first ever Natural Capital Protocol for business. Who else supports The B Team?